You will Watch One Piece Episode 501 English Dubbed online for free episodes with HQ / high quality. Stream anime One Piece Season 14 Episode 43 The Fire Has Been Set! The Gray Terminal in Crisis! In High Town, Sabo fails to warn his brothers as he gets caught by his father. Meanwhile, Bluejam tells Ace and Luffy about the fire at the Gray Terminal. Sabo is detained in a wine cellar, after escaping once again he fails to reach the Gray Terminal. At which point he tells Dragon about the fire and admits that he will never be free as long as he stays in High Town. 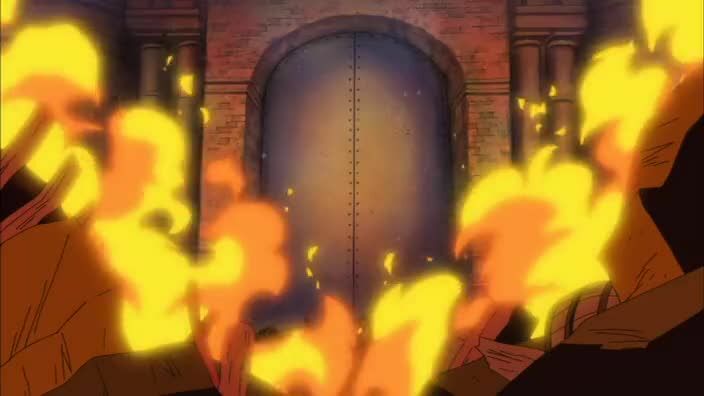 Bluejam and his crew burn down the Grey Terminal, trapping the people in Goa Kingdom and filling the Dadan family with horror. Bluejam discovers that he was cheated by the Nobles, and confronts Luffy and Ace about his hidden treasure. Ace uses his Haki to knock Bluejam’s crew out, but Bluejam threatens to kill Ace with his gun.